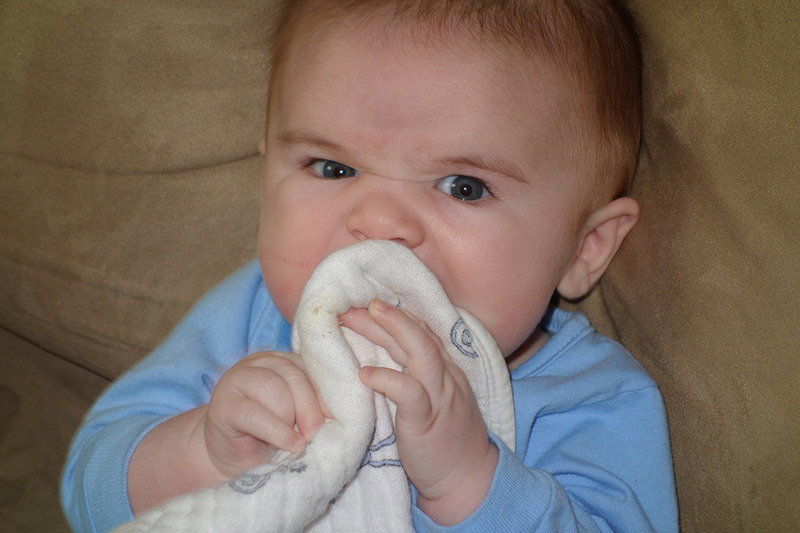 Sources say it varies widely on when babies start teething. 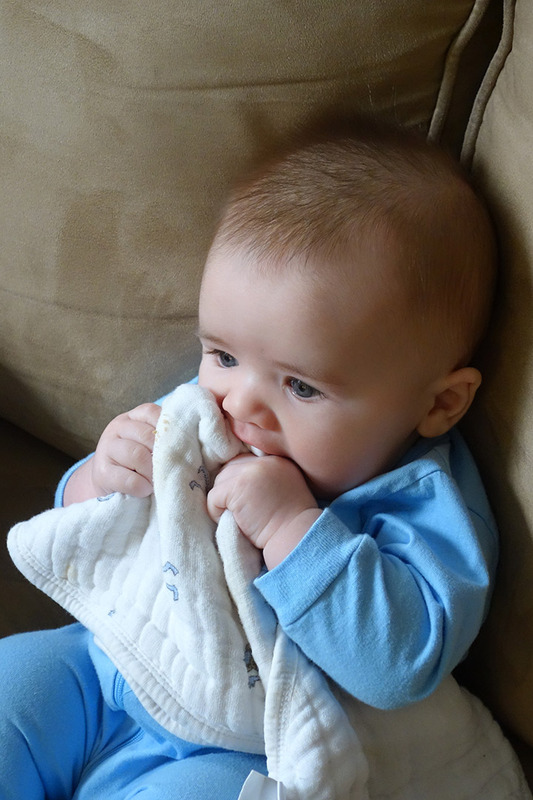 So we’re not entirely sure, but lately Henry seems to enjoy (or maybe get relief from) chewing on his spit-up cloth. 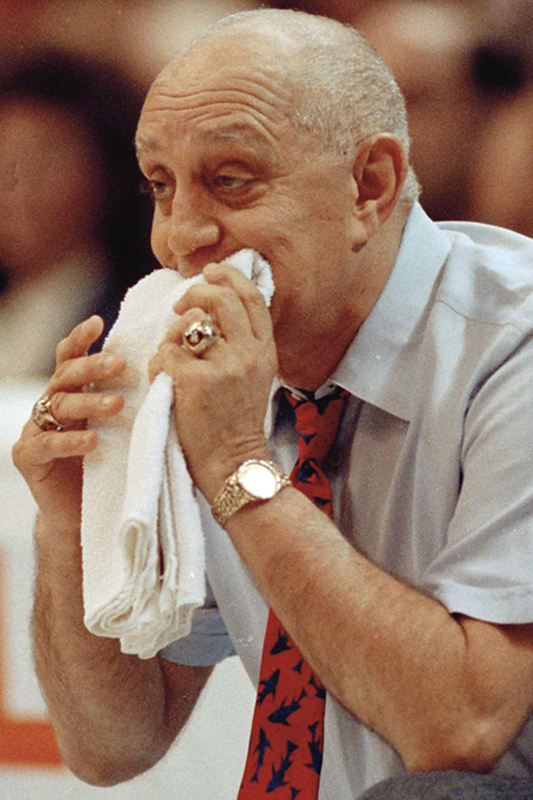 Kinda reminiscent of Jerry Tarkanian‘s habit of biting on his towel during tight basketball games. This entry was tagged Jerry Tarkanian, teething. Bookmark the permalink. So funny…. so cute! Mae does not have any teeth yet but gnaws on everything, but my friends son of the same age has two! This wknd I was sure she was getting one, she had kind of a fever and her cheeks were all red and the drool was coming in buckets, which they say is also a sign, nothing yet, it should be interesting, they look so different with teeth. I bet he makes lots of growling sounds too! Love you guys, love the pictures! Something I read online said girls typically get teeth sooner. But I don’t know if it was a reliable source. I’m sure it varies. At least we know if Henry and Mae bite each other during their visit, they won’t do any harm yet.